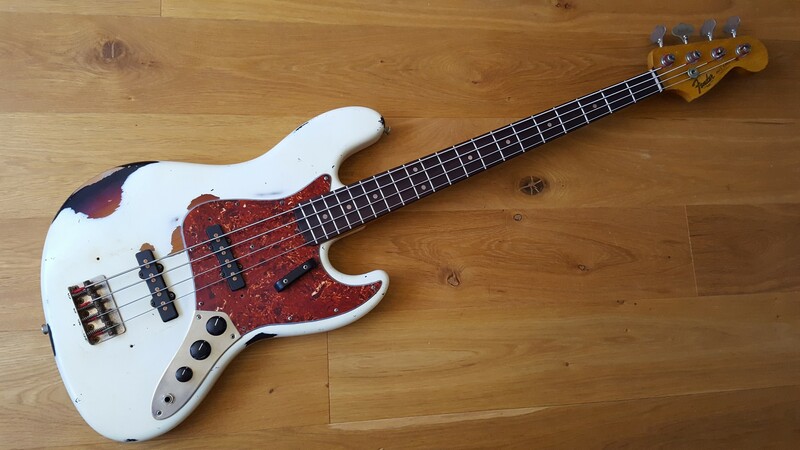 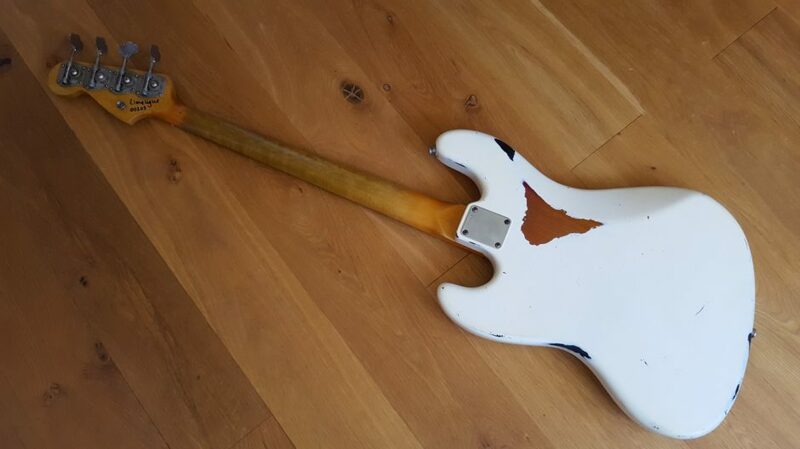 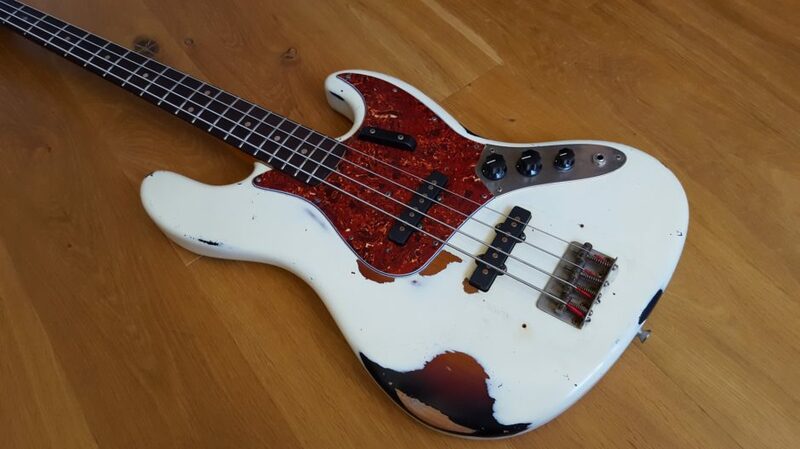 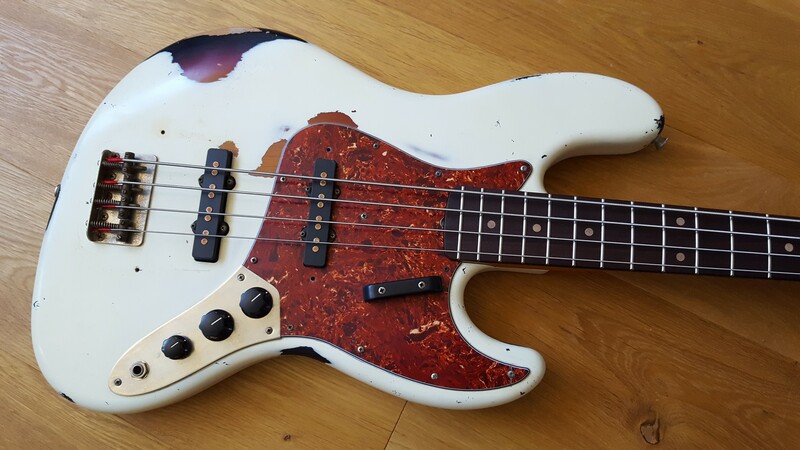 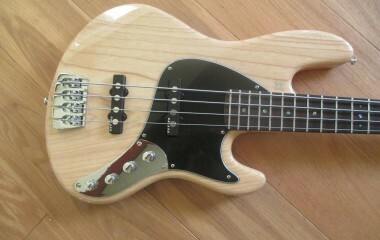 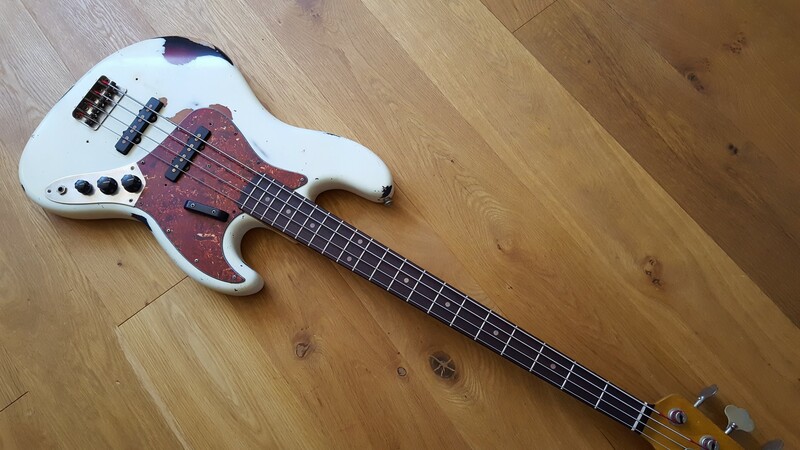 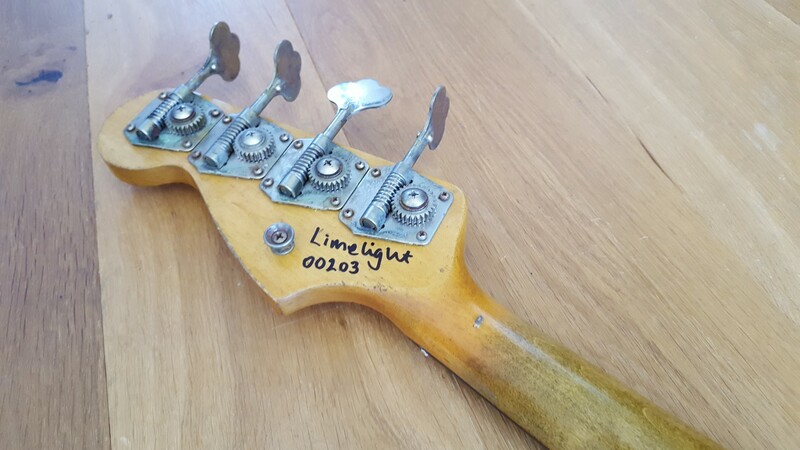 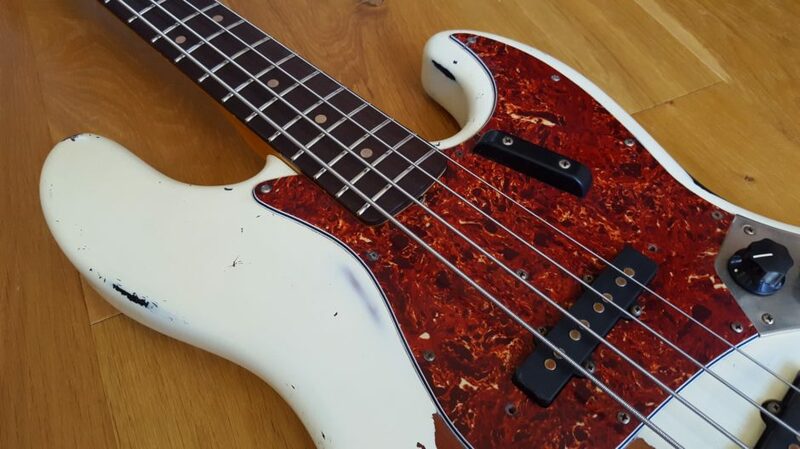 This is a Limelight ’64 J Bass with all the correct features from that era. 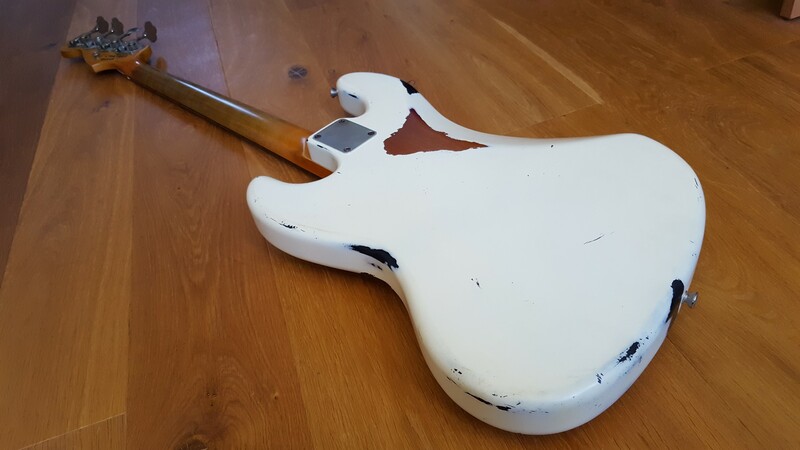 It was quite common for Fender to spray custom colours over rejected Sunburst finishes, as it saved time and didn’t waste the bodies. 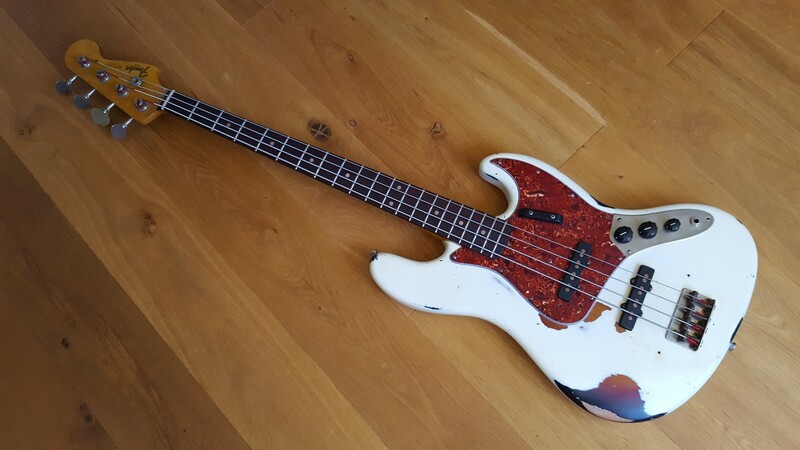 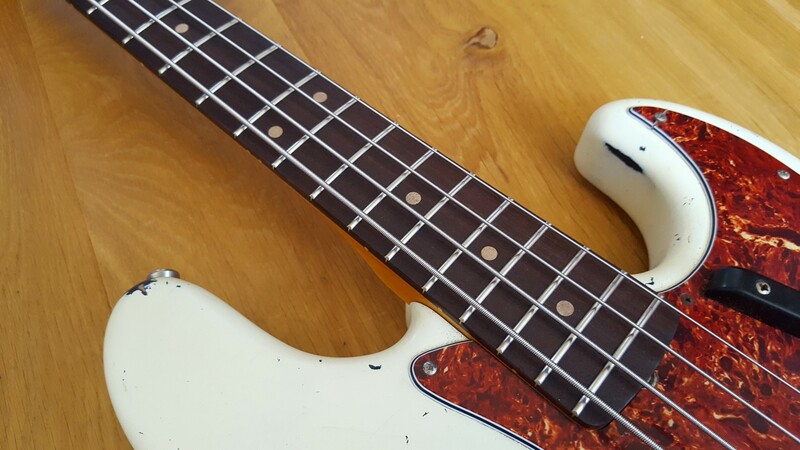 These basses looked like a normal custom colour bass when new, but as they aged revealed the Sunburst underneath. 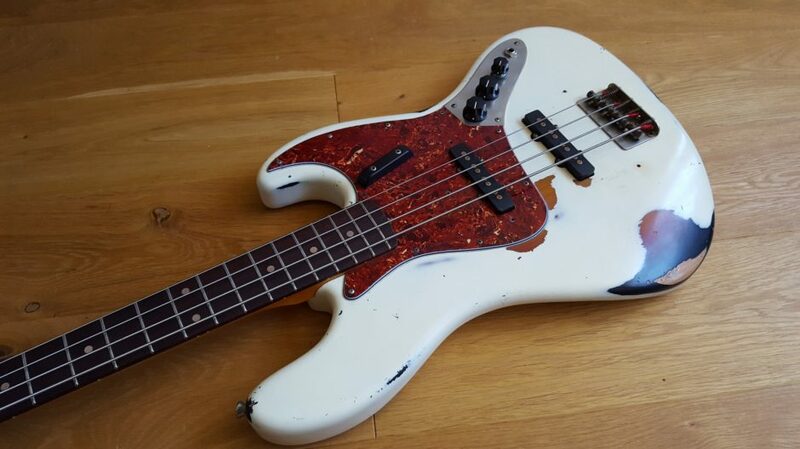 Looks really good!